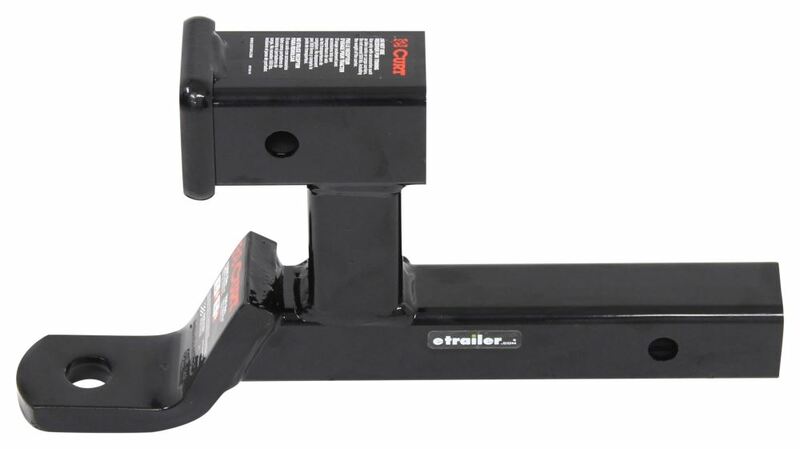 Roller # RM-050 is a good option for a Class III trailer hitch on your 2006 Honda Odyssey. 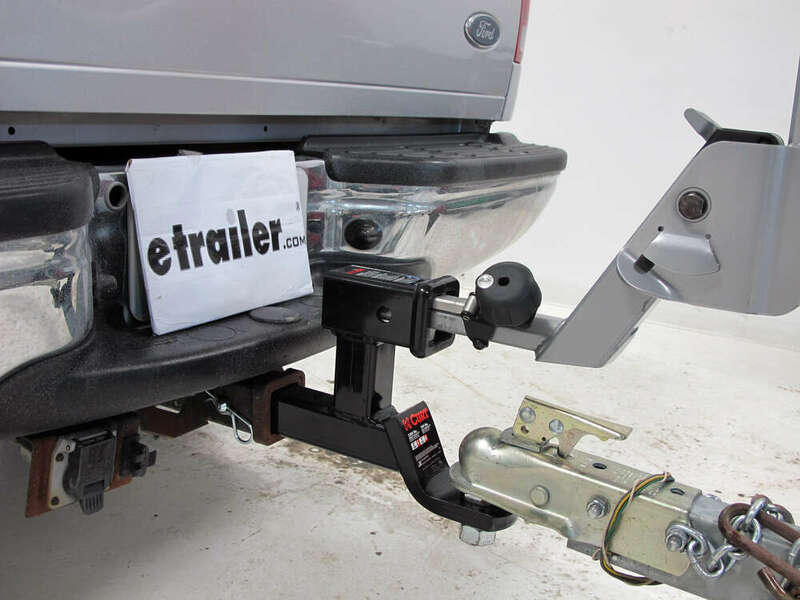 It does hang down lower than the hitch receiver so it will actually make contact with the ground sooner than if the roller were not on it. 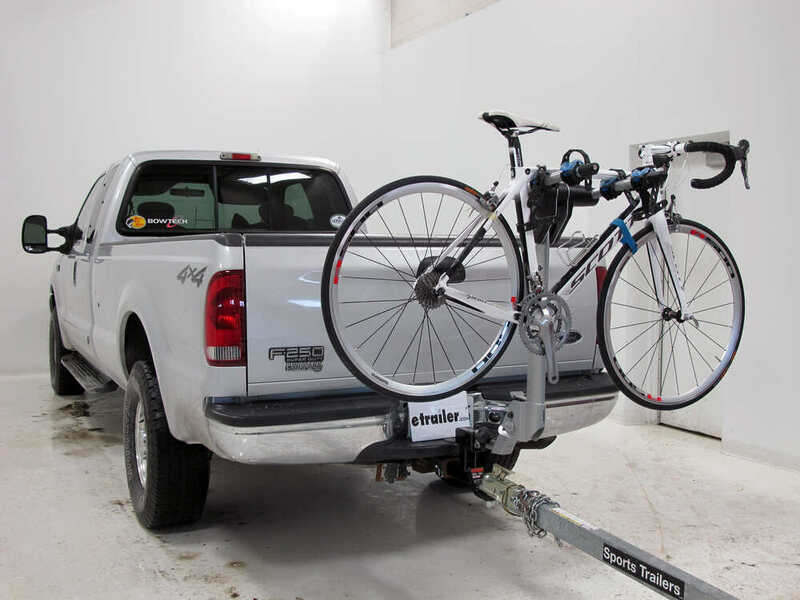 This roller will not help with the Kuat bike rack though. 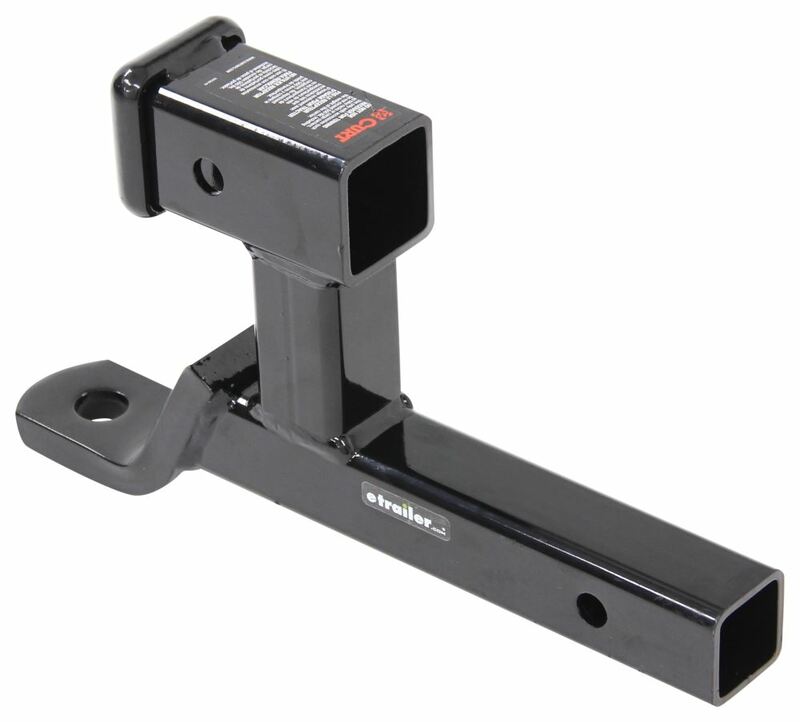 What might work better is to use # D210 and put the bike rack in the upper receiver. 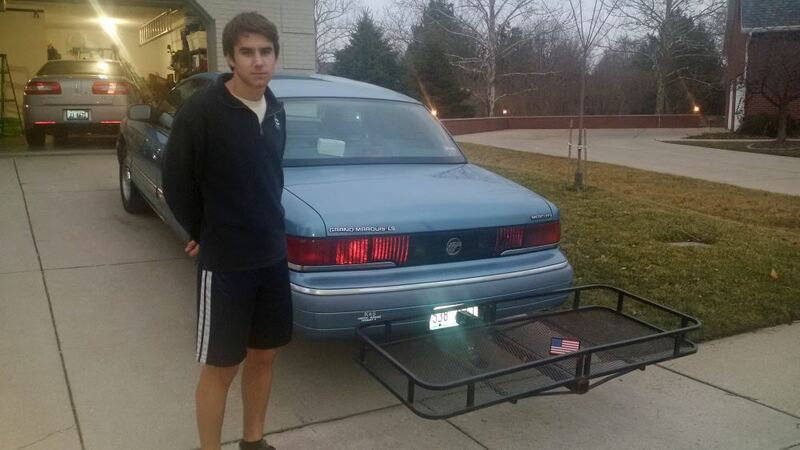 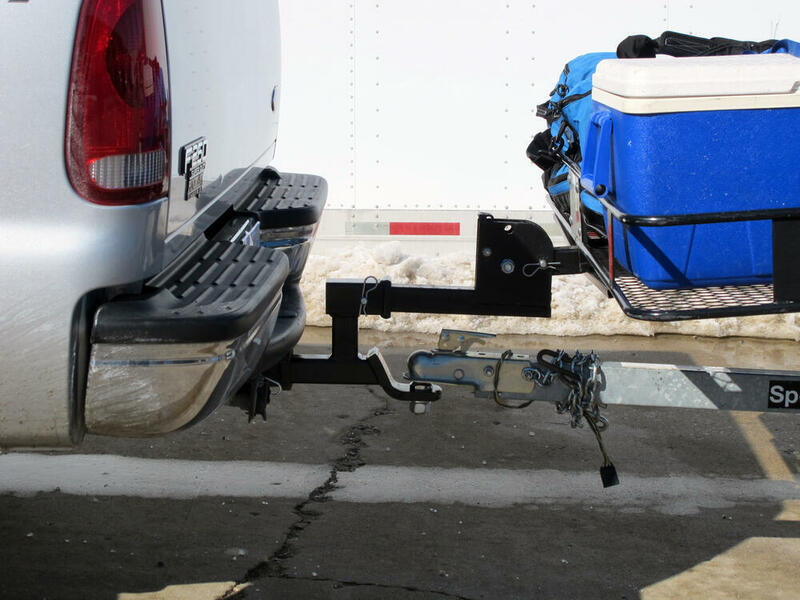 This will raise it up higher and keep it from scraping on the ground, even if the hitch does scrape. 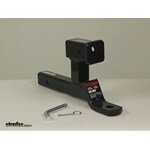 We do offer a product that you might be interested in. 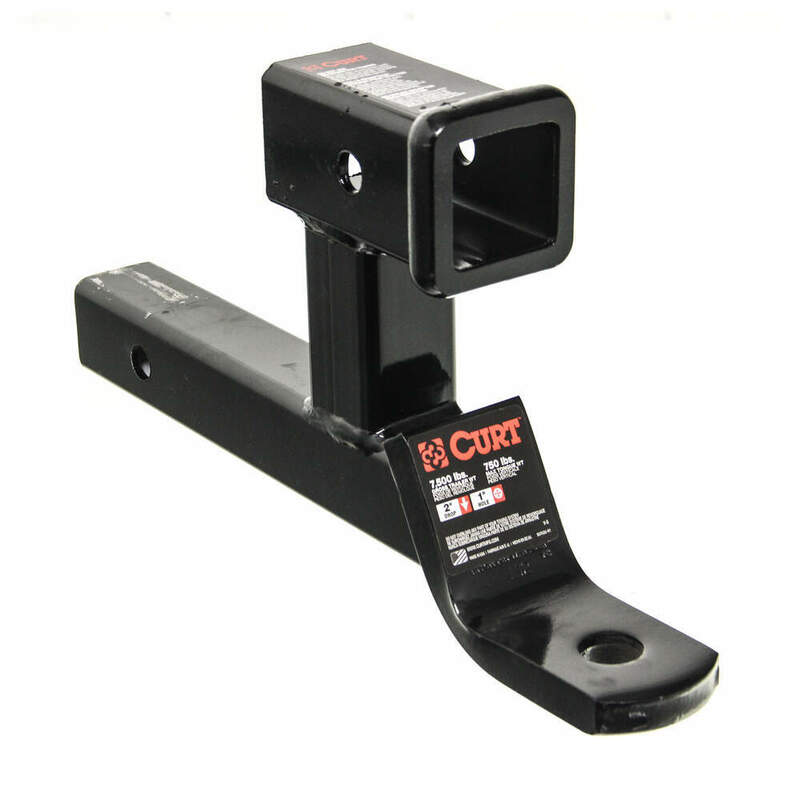 It is the Curt Multi-Purpose ball mount, part # D210. 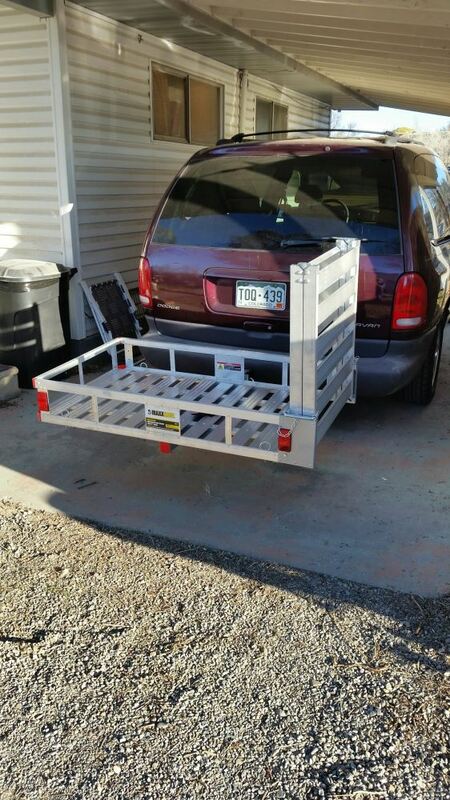 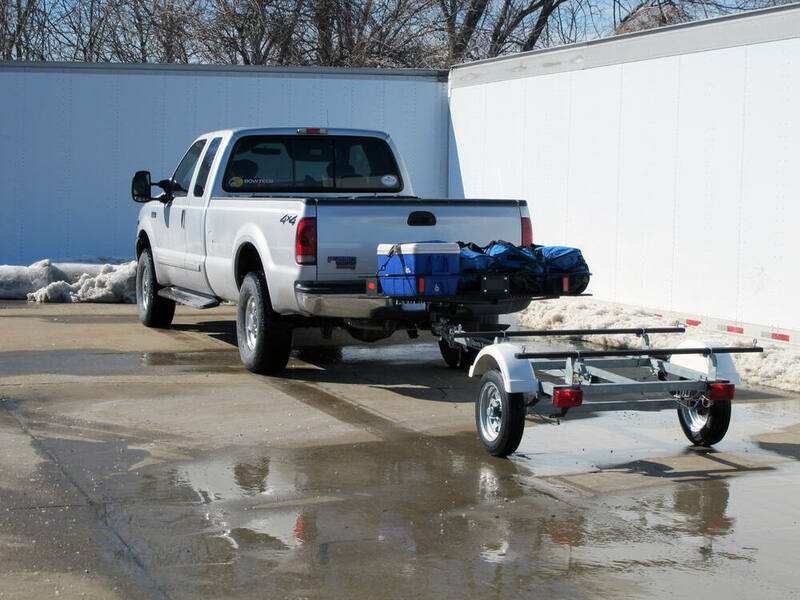 The unit itself is rated at 7500 lb towing, 750 lb tongue weight. 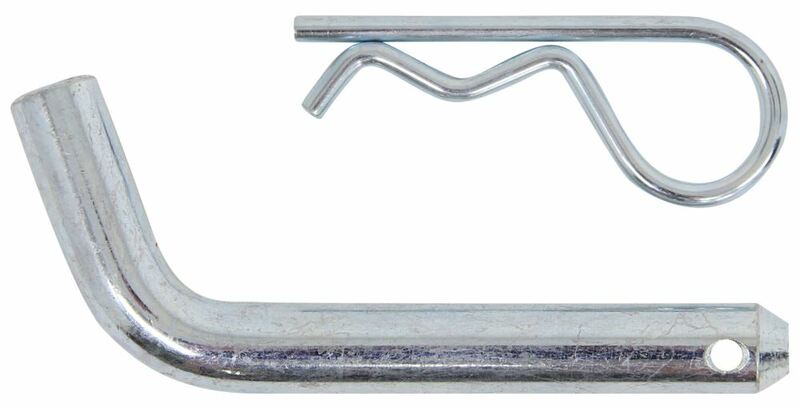 The receiver portion has a tongue weight capacity of 350 lbs. 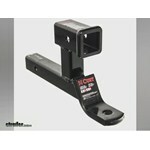 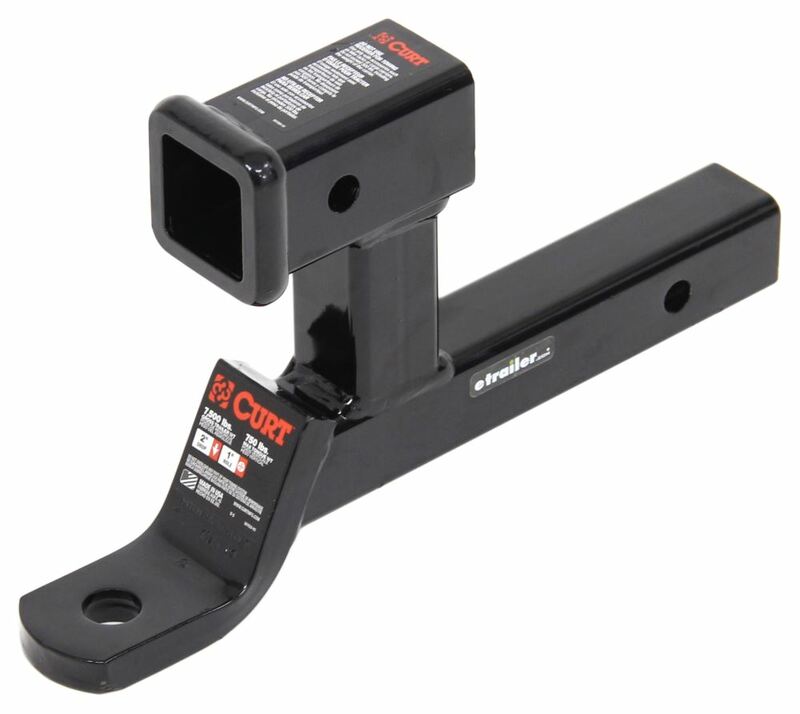 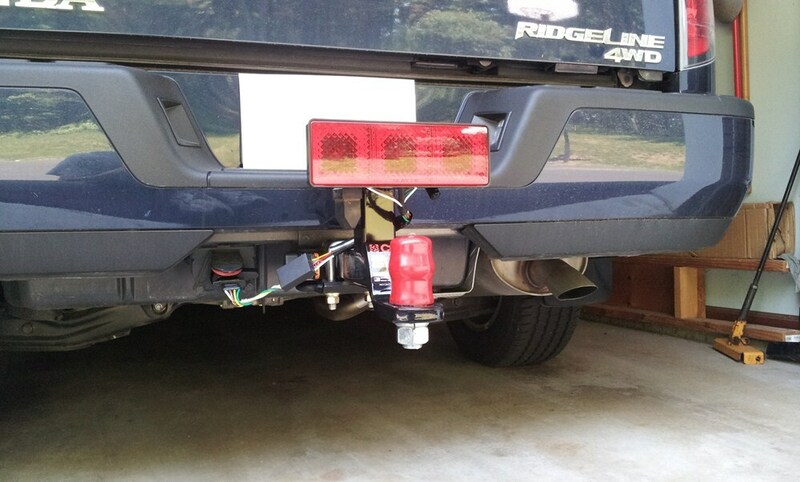 For your cargo carrier, a better option would be the Curt Trailer Hitch Ball mount with 2 Inch Receiver, part # D210. 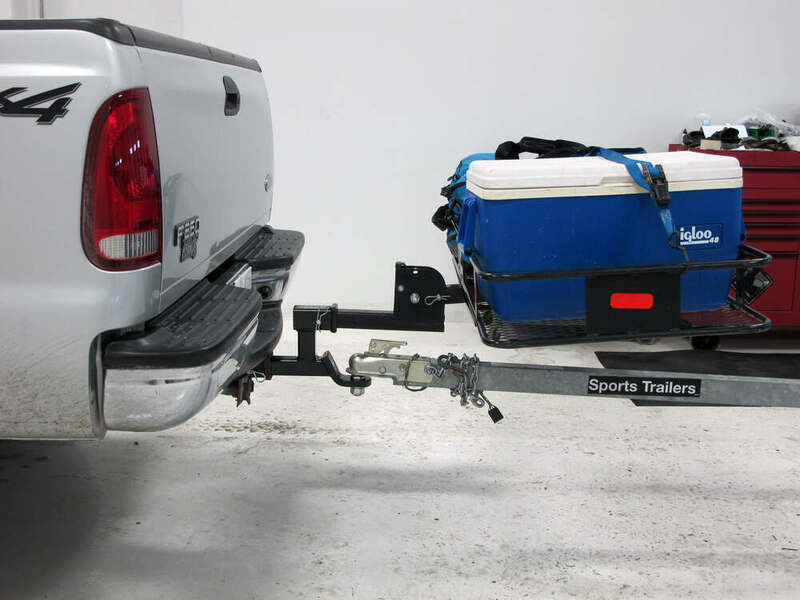 Keep in mind that this ball mount has a tongue weight capacity of 750 lbs. 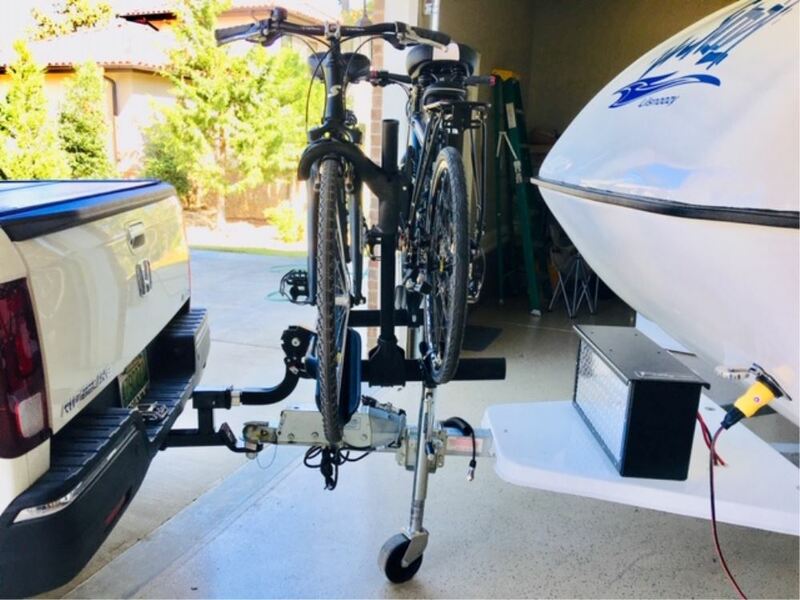 This means that the tongue weight of your PWC trailer, the cargo carrier and anything placed on it can weigh no more than 750 lbs. 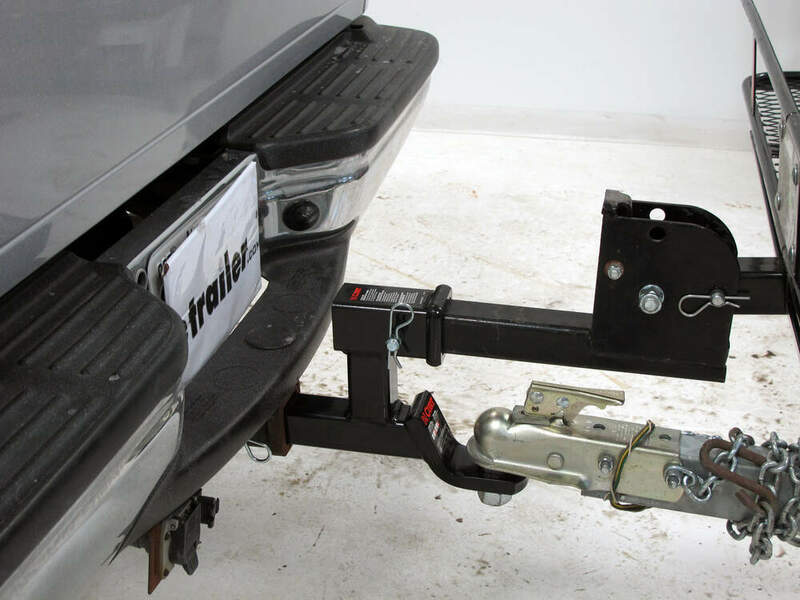 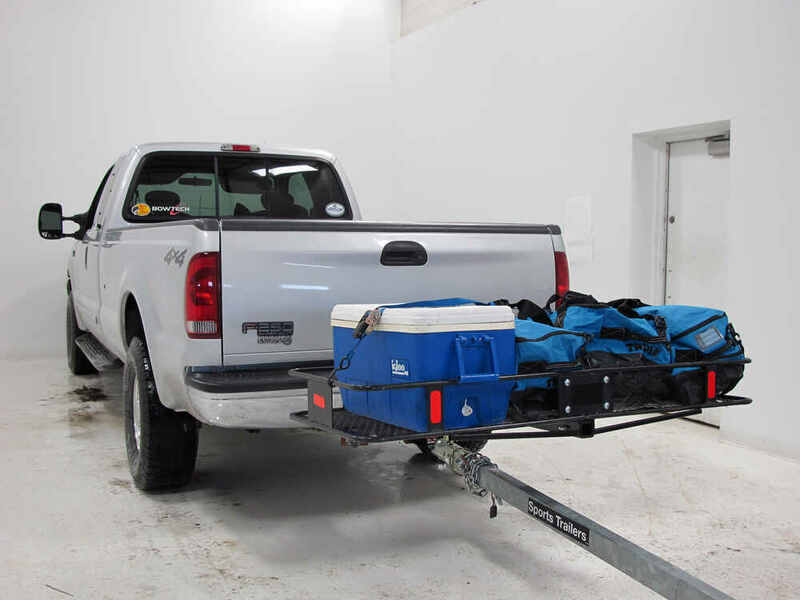 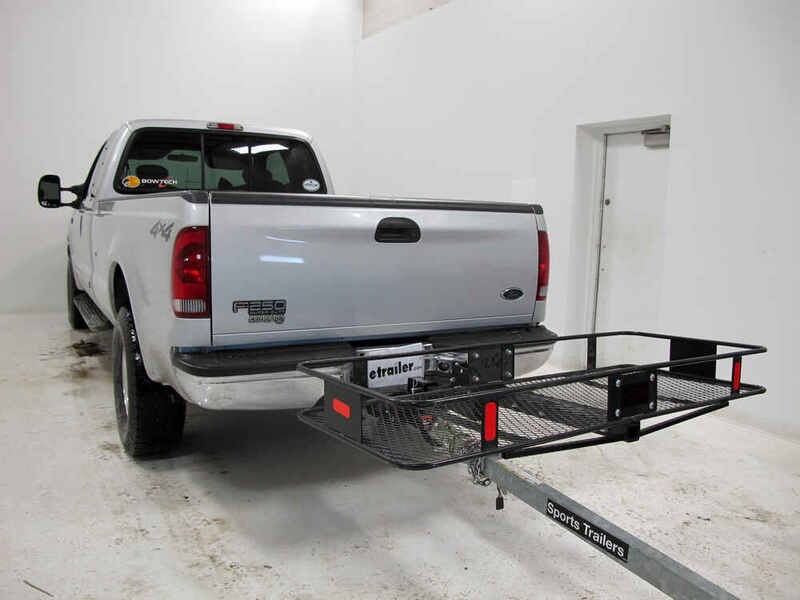 The Roadmaster Dual Receiver Adapter, part # RM-077-2 is not designed for towing a trailer, it is meant for rolling loads like a vehicle being towed using a tow bar. 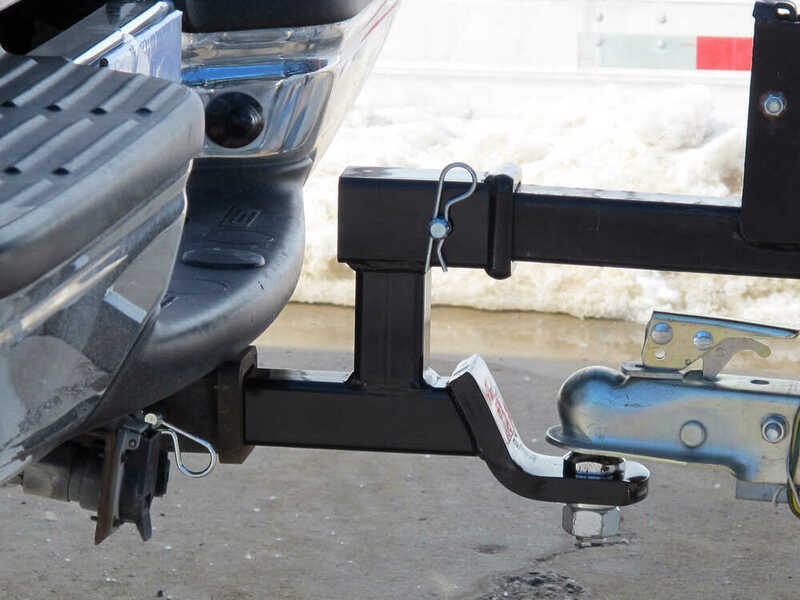 Using the Curt Spare Tire Carrier, part # C31006 in conjunction with the Curt Multipurpose Ballmount # D210 would be your best option, as the Roadmaster # RM-077-4 is meant to be used with rolling loads like a flat towed vehicle only. 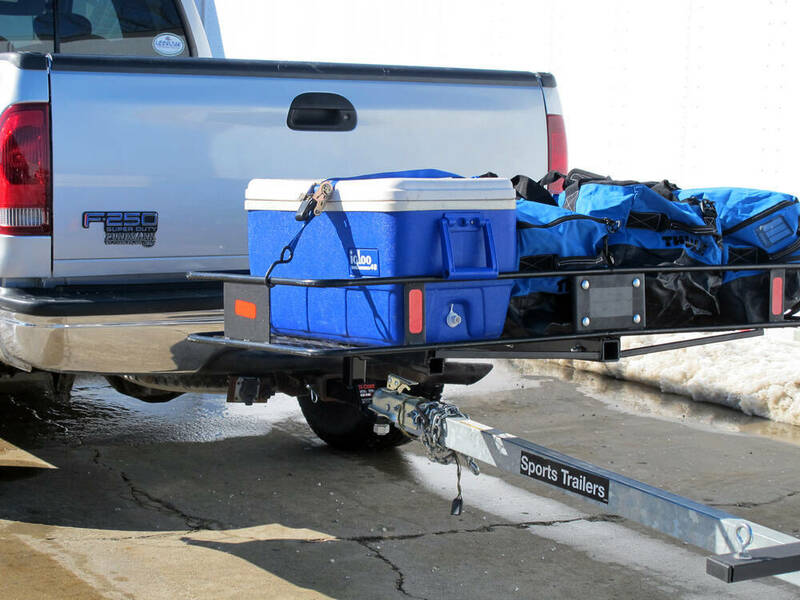 The D210 can handle a total of 750 lbs tongue weight/7500 lbs towing and the receiver opening can handle up to 350 lbs of tongue weight.